We are always in need of volunteer clinical educators and lecturers. Please read the detailed information below about our volunteer program or download the pdf here. If you think volunteering is for you, complete the Expression of Interest Form. If you would like to consider a more long term commitment with us, don’t hesitate to contact us for further information. Click here to read about the experiences of some of our previous Volunteers! IS VOLUNTEER WORK IN VIETNAM FOR ME? Contact clinicians who have already worked with TFA in Vietnam – a number of clinicians who have volunteered as lecturers or clinical supervisors with TFA are happy to speak with clinicians who are considering volunteering their services in Vietnam. Contact Jan below for details. If possible, obtain a copy of: Potvin, C., & Stedman, N. (2008). Dos and Don’ts in Vietnam. Book Promotion & Service Co., Ltd. Thailand. Distributed by Amazon. This excellent general reference provides invaluable information pertaining to Vietnamese history,language and culture, practicalities and cross cultural challenges. It is well worth a read. If after considering this information you remain interested and willing to volunteer your time and expertise to the students undertaking the Speech Therapy training Program, please contact us again at your earliest convenience. We can be contacted by email or by Skype to discuss any of the above information or answer any questions you may have. We are keen to find out when you might be available to come to Vietnam and how long you will be able to devote your time to the program. Volunteer clinicians are required to travel to the work places of students to provide clinical training and supervision. Clinical supervisors will have the support of the Clinical Education Coordinator during this time who will assist with organisation of the clinical supervision placement and who will visit each placement at least once during each clinical education block. Students initially received a minimum of 8 days clinical supervision, preferably in block mode (e.g. over a 2-3 week period). In their last Clinical Education block (CE 4) they have a minimum of 18 days of clinical supervision. During clinical education blocks, students are required to conduct assessment and treatment sessions with their clients under the supervision of a speech pathologist. Time should be devoted to case discussions, demonstration and direct teaching, feedback sessions, reflection and other teaching activities – essentially those student supervision activities that are undertaken in Australia. Clinicians will have access to the support of an interpreter during this time. As Trinh Foundation Australia relies solely on donations to support its work in Vietnam, clinicians will be required to self-fund their travel to Vietnam, including return airfares, travel and indemnity insurance. 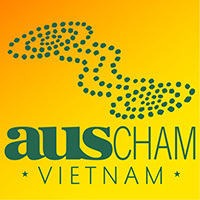 However, the Foundation can contribute a sum in the vicinity of AUS$200.00 per week towards the accommodation/living expenses of each clinician whilst they are working in Vietnam. TFA has some flexibility with respect to this stipend, particularly when clinicians are prepared to contribute their expertise for an extended period of time or if they return regularly to assist. Each application for funding assistance is individually assessed. Regarding the cost of accommodation and living expenses – in District 1, HCMC (the backpacker district and probably the best location to stay) you will be able to find a reasonable room with air conditioning, and private bathroom for around US$15-30 per night, maybe cheaper for extended periods. If you are able to obtain a copy of a current Vietnam Lonely Planet guide, have a look at what they suggest and the price ranges. Food is cheap, particularly if you eat at street stalls, etc. If you travel around town by xe om (motorbike taxi) it will be cheaper than by taxi… it can be a bit hairy and the helmets they provide are not Australian standard by any means but the travel is quick and cheap. Given HCMC is a major city, all living expenses will be less expensive outside HCMC.